Viva Latino Family Fest! The most anticipated Latino Celebration in Minnesota! The Viva Latino Family Festival is a cultural, community, and family-oriented festival created to showcase and promote the rich Latino culture and folklore. Our festival is inclusive to all our neighbors and friends who embrace our Latin traditions and heritage through music and food. 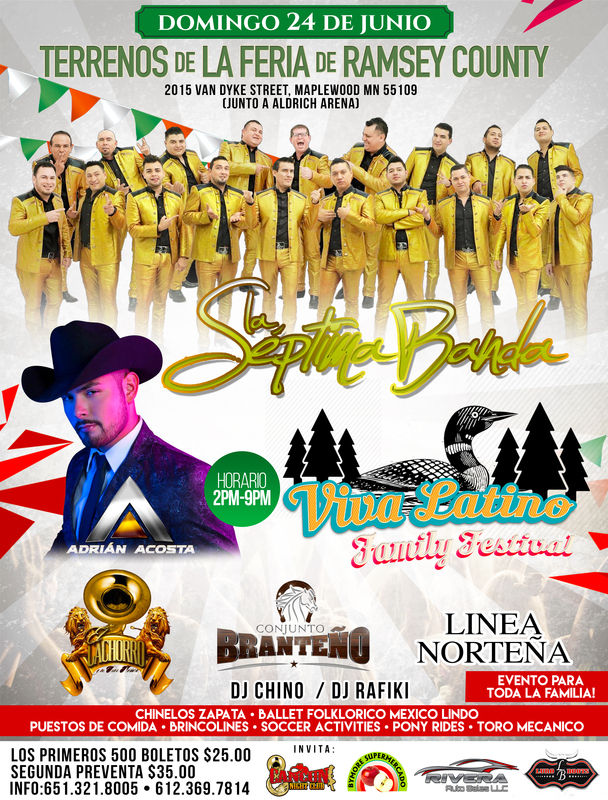 Our Viva Latino Fest includes a varied participation of internationally known Latino and Mexican bands who draw thousands of fans to our official site, the Ramsey County Fairgrounds. Please send us an email if you would like to participate and expose your brand to thousands of people. We would be more than happy to email a non-profit application. Applications must be received electronically by Tuesday, June 12th. All vendors are responsible to provide their tents, tables, chairs, electrical generators.